Just2 Tutoring: Global Focus Coaching J2’s objective is to provide individualized, global academic support for the struggling or underachieving student. Over the past two decades, J2’s unique and attentive services have made a significant impact on hundreds of middle, high school, and university level students. Consistent, positive interaction with a certified, educational professional can lift student grades and the academic pressures of parenting. Like the seed that falls on good soil, our student’s positive interaction with an effective mentor is essential to their success. Just2 Tutoring clears the fog and removes excuses through one to one interaction and direct teacher contact. Schedule with J2 now to ensure that your child will be paired with a certified teacher. Tutor & student meet in person or, much like a phone call, in a familiar study space of your child on tablet, lap or desk top. Students meet with the same tutor for two, ninety minute online sessions weekly. During this time, goals, current grades are reviewed. Assignments are clarified, long term projects and essays are arranged in daily steps and study strategies are implemented. Access to online textbooks, teacher websites and campus portals provides the specific content of the class, teacher expectations, rubrics, individual progress reports and updates. Additionally, students meet with their online tutor each remaining school night for regularly scheduled fifteen minute check-in calls. Just2 is not for everyone. We are deeply networked and refer traditional content tutors as appropriate. Who is a good match for Global Focus Coaching? Just2 Online Tutoring services has been a perfect match for a parent who owns one or more businesses, a person with many irons in the fire. Whether they travel often or work from home. They love their kids and want nothing but success for them but, their own success leaves little time and sometimes less patience than they desire. J2 has been a perfect match for a parent in a serious life transition: health related or a relationship shift. Online academic support creates an environment of consistency in a time of transition and healing and we have served students who are geographically separated by divorce or work relocation. Online Academic Support with Just2 has been a great fit for parents of twice-exceptional & students with Executive Functioning or focus challenges. Whether living at home or studying out-of-state, J2 has created the academic bridge to campus services and self advocacy. J2 Online has been a great fit for parents as their child transitions to middle or high school. Seeking the right fit for your child indicates an enormous commitment. It is this whatever it takes attitude that will move a student far beyond their excuses to development of appropriate independence. 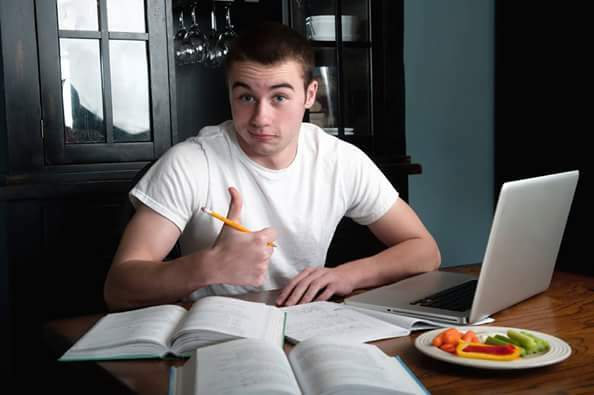 You probably know a student who struggles in the areas of organization, time management or study skills, a student who is clearly not performing to their potential. Just2 Tutoring is experienced and effective in serving the unique needs of today’s learners. Everyday we see twice-exceptional students who deal with focus issues, executive functioning challenges and life transitions. We teach skills and techniques for overcoming these challenges and open the road to academic success. The best account for J2’s success are the testimonials that come from former students. While infrequent, these brief reunions at markets or airports are magic and often include nostalgic endorsements. Last February, I ran into a former student and Penn grad who was visiting his mother. I’m proud to have been part of Jeremy’s success and I celebrate most every reunion of this sort. He said that what he recalls best is that I , “spoke kid language” and that I, “ taught in a way [he] could understand and you could see through the BS.” His mom asked about business and I spoke about the recent success I have been having with Just2 Online. The following week, I got a call from her sister in New York and a few days later, Jeremy’s cousin enjoyed immediate results with the J2 Online System. Since that time, my latest Binghamton student has raised each of his grades by two letters. Get J2 support to improve your child’s school performance and a more amicable life at home.